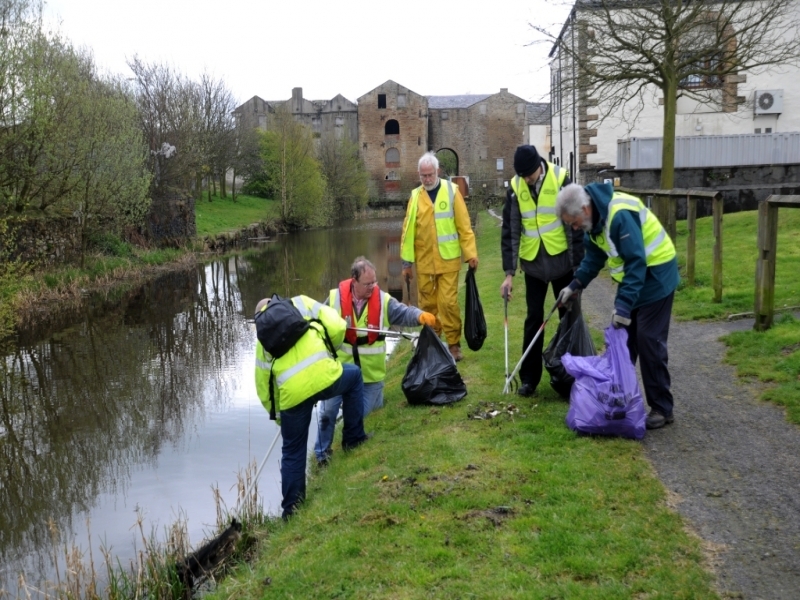 The Rotary Clubs of Hyndburn work together, for an attempted clean-up of the Leeds and Liverpool canal-side. 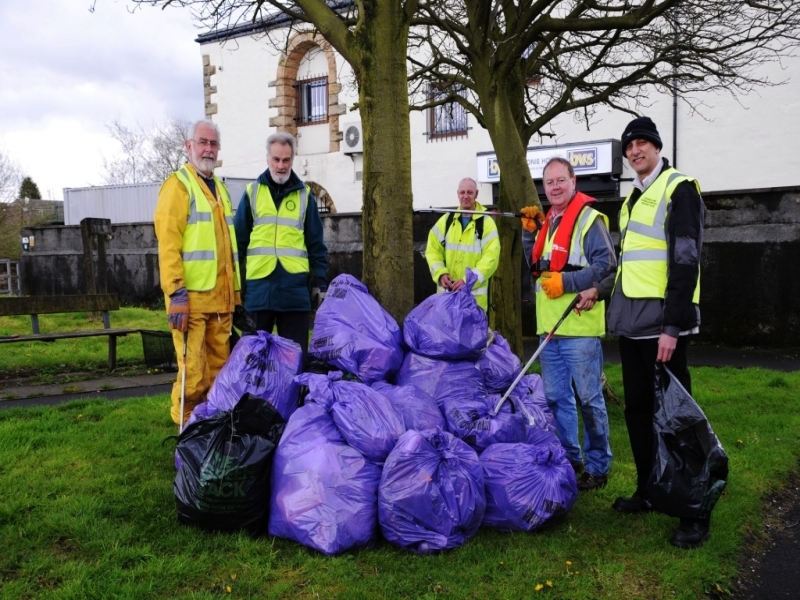 As part of a National campaign of `Spring Cleaning`, organised by Rotary Clubs around the country, 33 members of Hyndburn Rotary Clubs, commenced a litter-pick of the tow-path area of the Leeds and Liverpool canal. Assisting with this mammoth task were members of Rishton Prospects Panel, and a couple of British Waterways volunteers. The litter collecting commenced at the canal bridge at Whalley Road Clayton-le-moors and ended at Rishton. The volunteers were armed with hand-held litter grabbers and nets and were able to retrieve over 110 sacks of rubbish consisting of a multitude of items from parts of prams, to crash helmets, bottles, polystyrene, tin cans, bagged dog-litter, and trainers. All members were astonished at the quantity of rubbish, but were even more horrified at the quantity of dog-litter left either in the grass verges or bagged and disposed of nearby! However, the day was regarded as a huge success in so much as, the canal-side should be at least a little cleaner in readiness for the Rotary Grand `Walk 4your Charity`, to be held in May, commencing at Junction 7 industrial estate, where all entrants can walk for their particular charity, or good cause!